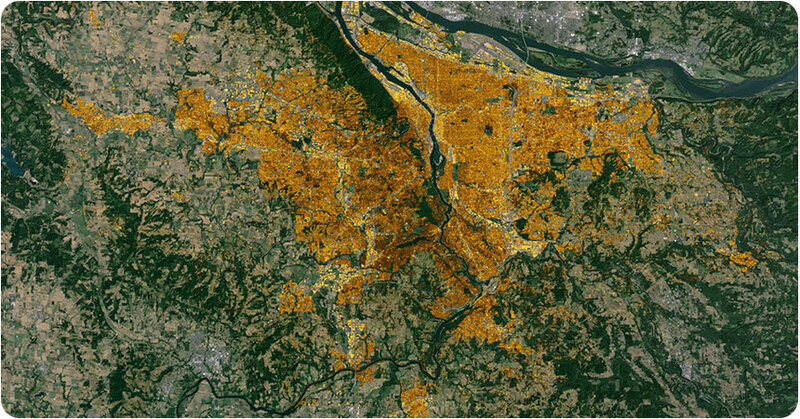 This month, Mapdwell® expanded their solar mapping coverage to 2.2 million inhabitants of homes and businesses in the Portland metro area. Mapdwell Solar SystemTM is a free online tool that helps residents and business owners estimate the solar potential of their rooftops based on modeling and weather simulation data. One of the biggest barriers to installing solar electric systems is that property owners don’t have a good way to estimate how much energy they could generate, or how much it would cost. Mapdwell Solar System estimates potential utility bill savings, the number of solar panels needed, available Energy Trust cash incentives, state and federal tax credits and the time it takes to “break even” on the investment. The tool is highly interactive so users can explore different scenarios for system size and financing options. After learning about the solar potential at their property, users can request free, no-obligation estimates from local Energy Trust trade ally contractors. Energy Trust sponsored an initial trial of Solar System in Washington County that concluded in February. Mapdwell continues to support the online map in Washington County in addition to the whole Portland metro area. The expansion adds an additional 450,000 homes and businesses to the map, and identifies gigawatts of additional rooftop solar potential in the metro area.